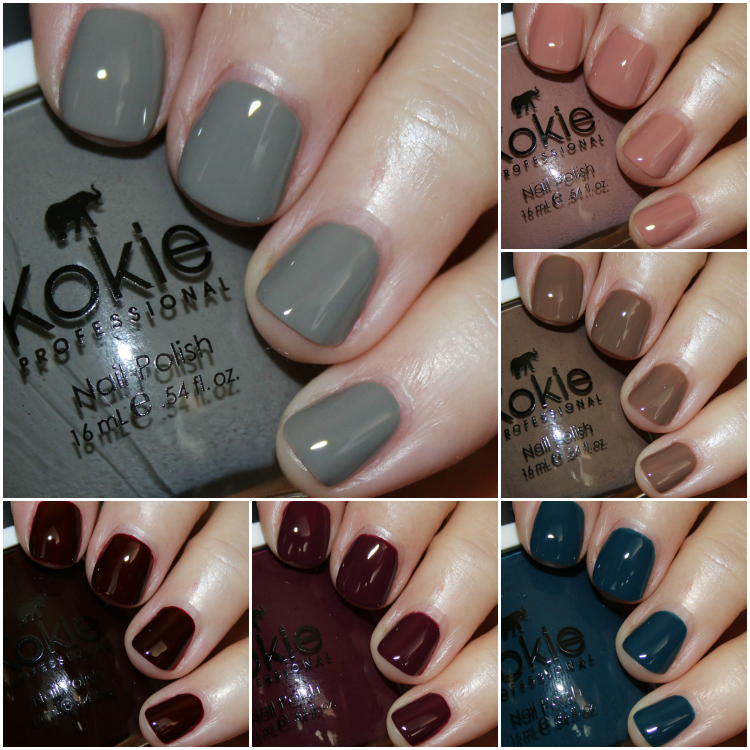 It’s Thursday and today I’ve got the Kokie Cosmetics Fall 2017 Nail Polish Kit for you to check out! 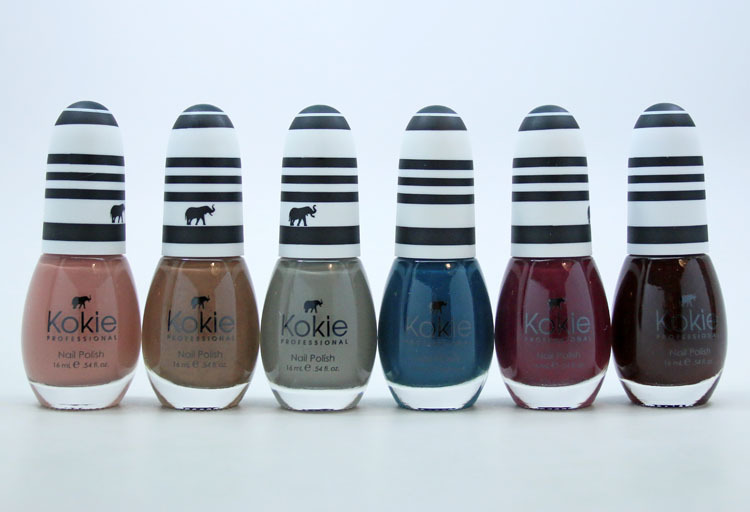 The Kokie Cosmetics Fall 2017 Nail Polish Kit features six creme shades, all with the adorable black and white striped cap with a little elephant on it. I love these caps because they are super cute AND they completely stand out in my vast collection very easily. This brand also has a wide variety of cosmetics, which I have yet to try, but am definitely curious about! 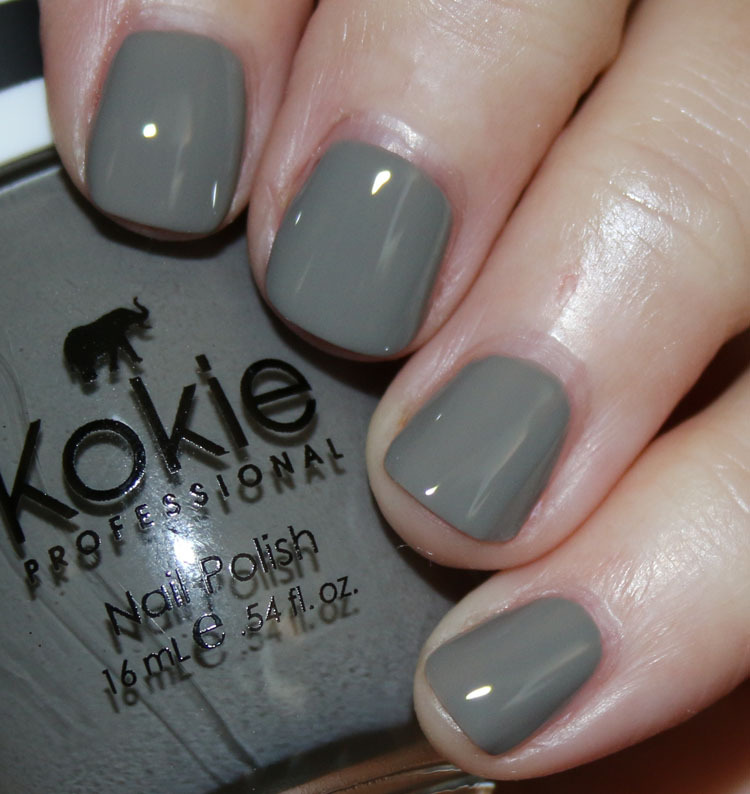 These are all very autumnal shades and they all cover really nicely with just two coats. I feel like damn near every collection lately has covered with two coats and I am not having any issues. I swear I am not just saying that, it’s really true! 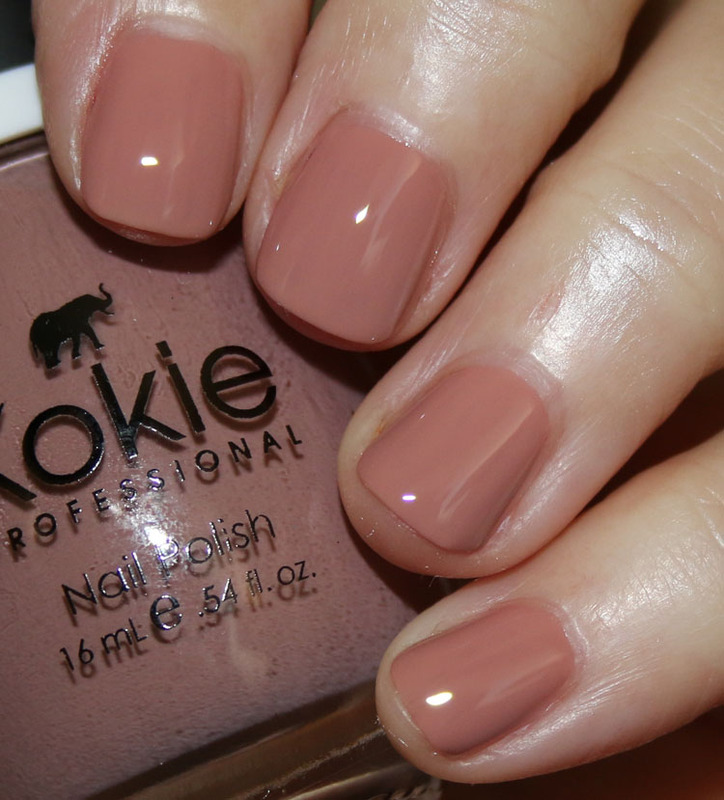 Cafe Olé is a light, warm-toned tan/brown shade. Sage It Isn’t So is a medium, cool-toned sage green/grey. Under The Sea is a deep blue teal. Vintage is a medium chocolate-y brown. Ok this one is a wee bit patchy, even with two coats. Indulge is a dark purple/red. 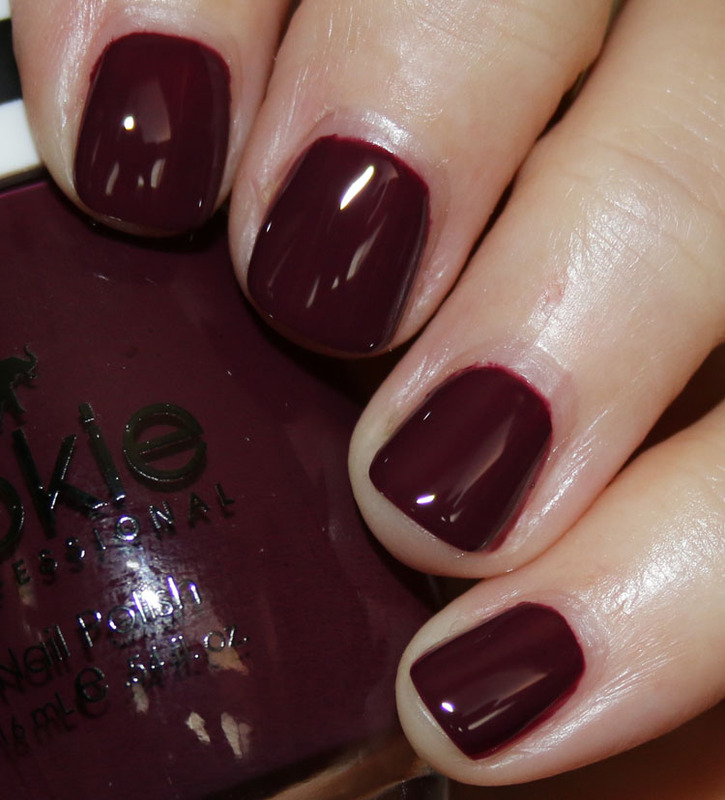 Smoldering is a vampy dark red. These shades are all really nice and definitely feel like fall to me. I like the pigmentation and shine they all have. My personal faves are Sage It Isn’t So (of course) and Under The Sea. I’m not sure anything is all that unique here, but for the price and quality, it’s a great collection. 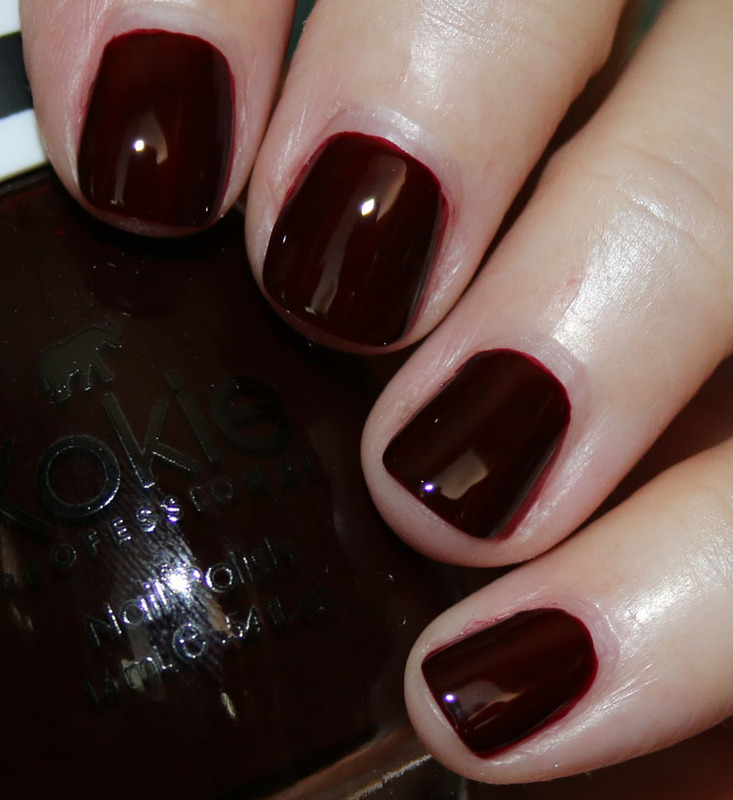 You can find the Kokie Cosmetics Fall 2017 Nail Polish Kit on their site or on Octoly and they are $6.00 each. Have you tried anything from this brand yet? Check out my previous post featuring some of their other nail shades here! I’ve never tried this brand, but now I want to! I like all the colors especially the vampy ones. I love all the six shades here and would wear everyone. Love the vampy red of Smoldering to be my favorite. However, the rest of these are so gorgeous I need to buy the entire collection. Awesome swatches. These are gorgeous colour. I can see myself wearing all of them. Under the Sea is my favorite too! I just love that shade of blue. That’s a nice grey. 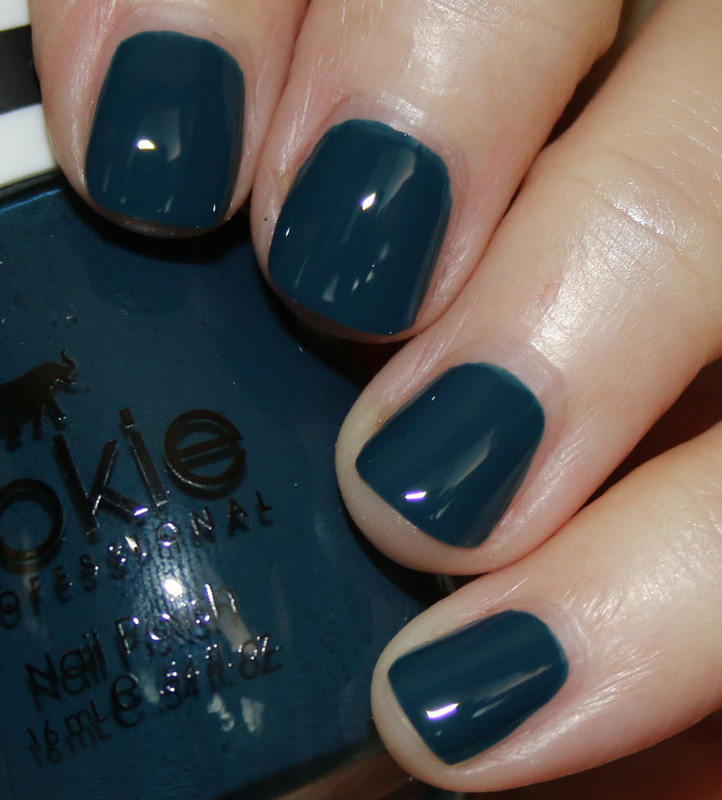 I tried several of the colors from your last Kokie post and they were all great. I sort of want to take the Orly glitters from yesterday’s post and layer them over that grey. I really love Under the sea!! I feel like that is such a rich blue color for the fall. Plus those are great prices.